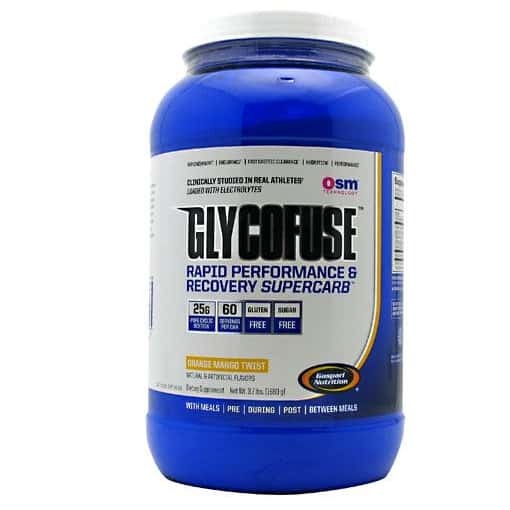 You are here: Home › Products › Gaspari Super Pump Max – 1.41 lbs. Gaspari SuperPump Max is a pre-workout supplement that’s designed to help you get the most from your workout. 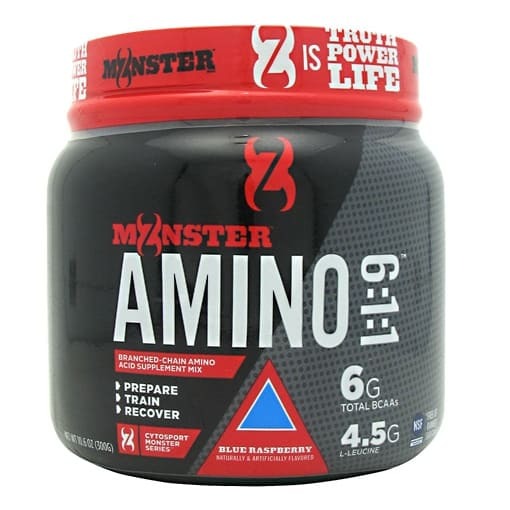 The nutrients in each scoop include many scientifically proven ingredients including: branch chain amino acids, creatine monohydrate, citrulline malate, caffeine, and tyrosine. Drinking it before your workouts has several potential benefits. I’ve listed them below along with a brief explanation. Increased endurance. Several of the nutrients in SuperPump max are designed to increase your endurance. This means you can do more at every workout and make progress faster. Build more muscle. Ingredients like branch chain amino acids, creatine monohydrate give your body the building blocks required to build new muscle. These make your muscles stronger too. More energy and better focus. This means you have more energy for every set and rep, especially on days you are feeling tired. Helps boost energy when you’re cutting calories too. Pumps that are better and last longer. Ingredients that increase nitric oxide levels in your bloodstream help product muscular pumps that are bigger and last longer post-workout. Like many Gaspari Nutrition supplements, the key ingredients in SuperPump Max are categorized by their function in this supplement. I’ve listed them below along with their key ingredients and benefits. This will help you simply see whether it’s the product for you. Electrolytes – your body loses them during your workout. Getting them pre-workout ensures they’re available since low electrolyte levels can impair your performance. Phosphates – when supplemented with regularly may be able to boost your endurance so you can get more sets and reps in at each workout. Sustamine – is a nutrient blend designed to increase the electrolytes and water your body can absorb. This helps ensure your body has these vital nutrients when necessary such as during a heavy leg or sprint workout. Carnipure – a special type of well absorbed l-carnitine. Carnitine can help increase your endurance. Carnitine is also used by your body to burn off stored fat. Citrulline – Boosts your endurance so you can train harder, longer. 2 grams of leucine. Plays key role in building muscle. Fat loss too. 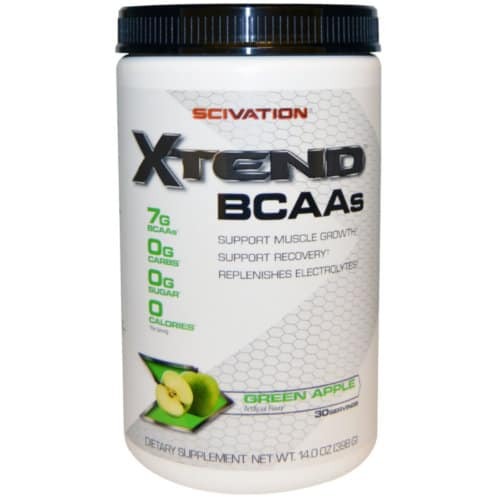 Branch chain amino acid blend so isoleucine and valine are also added. 1.3 grams of creatine monohydrate per scoop of SuperPump Max. Nutrients to help boost the energy you can put into every set and rep.
Caffeine – just enough to get you going. Not too much to make you jittery. Tyrosine – an amino acid which really helps improve your ability to focus during a workout. The best time to take SuperPump Max is 15-30 minutes before your workout. This will give your body time to absorb and begin to utilize the ingredients in each drink. It’s probably not best to take it on non-workout days since you don’t want your body to become accustomed to the caffeine and tyrosine. This could cause them to have less benefit. 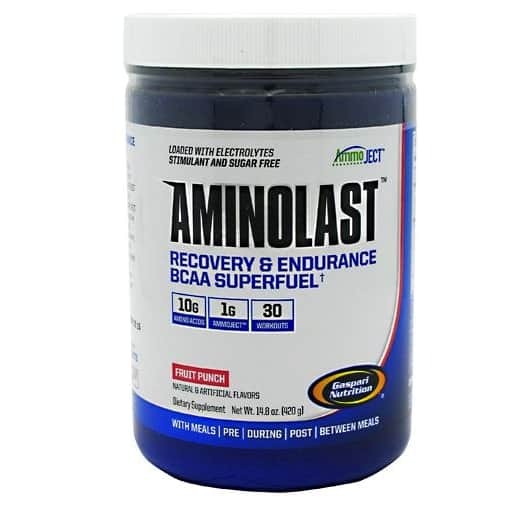 Since every scoop has only 10 calories and 3 grams of carbohydrates this is a supplement that you can drink whether you’re dieting to lose weight or build muscle. Important: For first time users take one (1) scoop for your first 2 or 3 workouts to allow your body to properly assimilate to SuperPump MAX’s high dosage of nutrients. SuperPump MAX should be used on training days only. 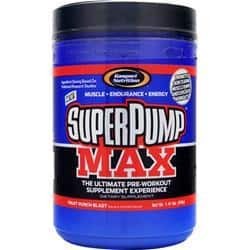 Be the first to review “Gaspari Super Pump Max – 1.41 lbs.” Click here to cancel reply.